Technological advances continue to shape and redefine the world we live in. From new apps to self-parking cars, the scale of these technological advances varies. Regardless of the scale, it’s impossible to deny that technology permeates every aspect of how we live our lives. This includes the education field. Educators from all levels are embracing new ideas that revolve around the integration of audio-visual technologies. One of the most beneficial audio-visual technologies in the class room is virtual field trips. Popular with both students and educators, virtual field trips allow students to virtually visit places unfathomable for a field trip before this AV technology, while simultaneously allowing teachers to stimulate interest from a diverse mix of students. Even though virtual field trips are the next big thing in education technology, there needs to be plan in place for the trips to be successful. Here’s what you need to know. 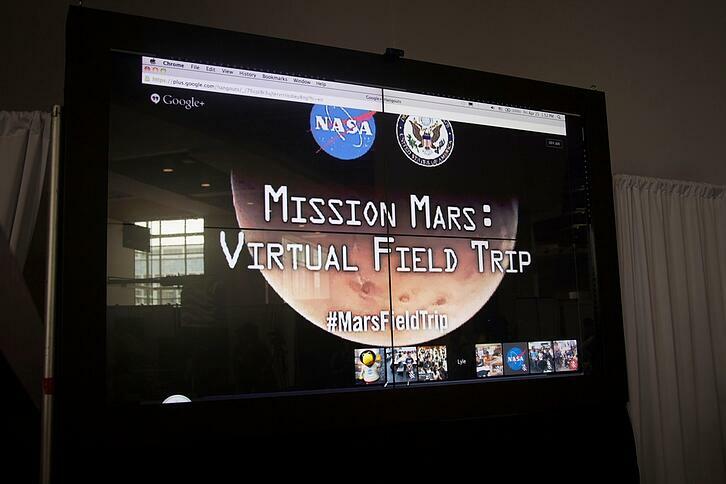 Virtual field trips utilize various video call platforms to allow classrooms to visit faraway places—or even the next state over—to fit specific lesson plans. For example, a history student in New York could take a virtual tour of World War II bunkers in Germany, and immediately afterwards begin a new virtual field trip visiting places of historical significance in Philadelphia. The versatility synonymous with virtual field trips is a major reason for its popularity, but it’s also part of the reason proper planning is so important. The first step in planning a virtual field trip is determining the technology needed. There is a wide range of options here, depending on how in-depth the lesson plans to be. Ranging from a photo slide show, a live video feed, or an interactive virtual 3D experience, there are technologies to help shape those experiences. Research is another vital step in planning a virtual field trip. It’s imperative for teachers to have a relevant lesson plan and list of objectives they are hoping to meet before starting the trip. If they don’t, the trip will not be as impactful as it could have been. Another benefit to research is the insight it gives into student’s interests. One of the most effective ways to ensure a student is engaged in a virtual field trip is a K-W-L Chart. A K-W-L is an interactive way for students to chart “What I Know,” “What I Want to Know,” and “What I Learned”. By using tactics such as the K-W-L chart, teachers can cultivate a learning experience that encourages students to be more attentive and engaged. There are other ways to ensure students are benefitting optimally from virtual field trips as well. Just like a traditional lesson plan, teachers should make virtual field trips fun and hands on. For example, teachers should consider bringing props—flags, food, and other concreate items from the destination of the virtual field trip will give an authenticity to the virtual field trip. Virtual field trips are a practical and fun way for students to experience a variety of new places and cultures. But fun doesn’t have to translate into no work. For a virtual field to reach its full potential, teachers must assess their students in some fashion on the content of the trip. It sounds like a win-win—and it is. Done well, a virtual field trip has no catch. Many virtual field trips are completely free. Beyond the dollars and cents advantages, though, virtual field trips allow students to see and—more importantly—experience places that would otherwise not be possible. The creativity involved in virtual field trips is also a major benefit. Instead of reading about the mystery of Stonehenge in a textbook, students now have the ability to take a 360-degree virtual tour of the site. The vast capabilities of virtual field trips and the technology involved allows teachers to engage with a diverse student base on a more personal level. Virtual field trips allow students to take interactive tours from Antarctica to Athens, while engaging them in a way textbooks can’t. If orchestrated correctly, these virtual trips offer a learning experience unlike anything else. Because the AV technology involved is user-friendly and cost-effective, there’s never been a better time to learn more. For more information on the technology behind virtual field trips and what these opportunities can mean to students and educators, visit our page on Technology Tools for Education here.